This elemnnt is a direct replacement for 3.60kW elemnts found in the "curved" and "T" shaped heater units fitted to aftic spas. Double hair pin style elements are also found in other heater units. 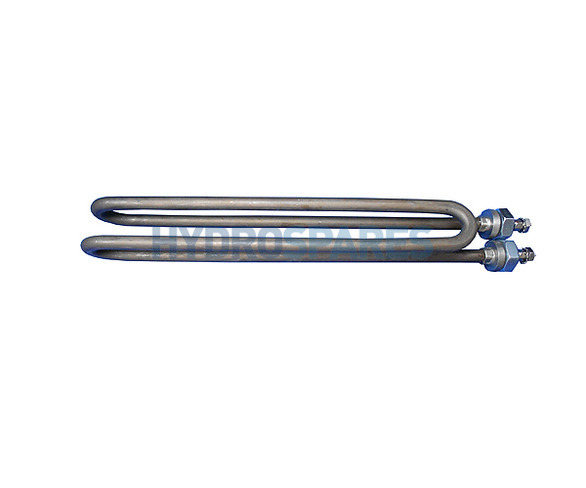 This is a genuine USA made element from high quality, incoloy 800 metal with a titanium coating, offering superior corrosion resistance and making it the highest grade heating element you can buy for you spa.